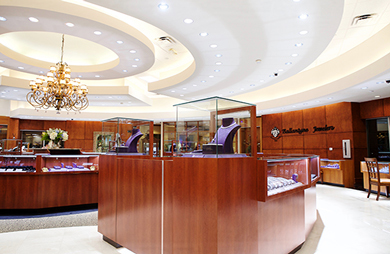 Creating custom jewelry takes passion both on the part of the master jeweler and the customer. It takes a passion for finding that perfect fit, that perfect piece that will be a great addition to your collection. When someone decides that they want a custom piece created, they can come to Aydin or Sami and together we will work on creating a sketch, a concept of what your future design will be. Sami and Aydin will do the sketch based upon any ideas that you would like to see, plus they will include specifics to make your custom jewelry complete. An easy-to-understand example of this would be if you had an idea for a fashion ring that you would like to have made or you saw a ring in an advertisement but could not find where to get it, we could make it for you. Another example would be that many times people purchase engagement rings that do not have matching bands, and their engagement ring does not fit well with any of the manufactured bands. We can create a custom wedding band for you that will match up perfectly to your precious engagement ring. After the concept drawing is complete and the client gives approval of the design, we move on to carving out the design in wax. The Master Jeweler will oftentimes place the gemstones into the wax model. In this case he places into the model the Chrome Tourmaline stone, which weighs 6 carats, and the four straight baguette diamonds, combined weight 0.75 carat, to ensure proper spacing and fit. Once the details are completed in the wax model, and with final approval from the client, the completed wax form is attached to a wax rod, called the sprue, and suspended in a steel cylinder, where an investment material similar to plaster is poured. The cylinder is placed in an oven to bake and harden for approximately 10 hours, and as the wax melts out from within through the hollow tube formed by the sprue, a negative form of the original wax model remains in the center of the hardened investment material. Once cooled, the hardened material is placed in a vacuum casting machine if the desired piece is to be crafted in white gold, yellow gold or platinum. Once the 18 carat white gold is injected, the investment material cylinder is placed in water where it dissolves, and the 18 carat gold is left in place of the wax. You now have a ring less the Chrome Tourmaline stone and the four diamond baguettes. When the precious stones are added, with everything complete, you are free to show off your unique and custom designed jewelry. 12335 N. Community House Rd.